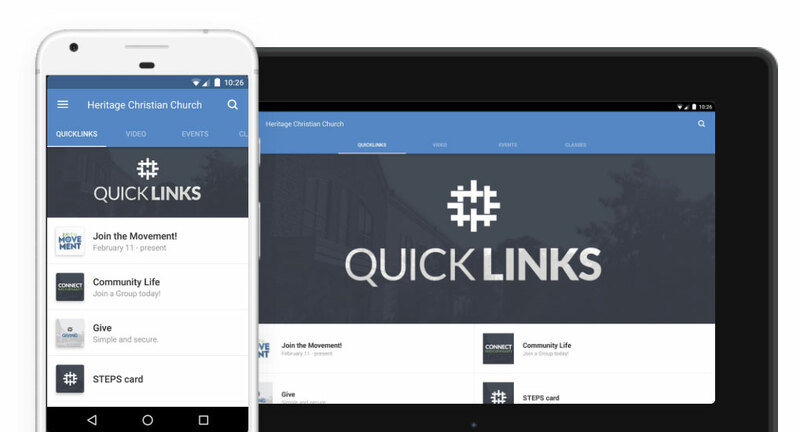 With our Heritage mobile app, catch up on messages you’ve missed, video announcements, upcoming classes, all our main events and more. Download it today! If searching on your phone or device, search for “Heritage Westerville” or use one of the store links below. There are 5 tabs currently: Featured, Next Steps, Video, Events, and Classes. The Featured tab will allow you to learn and act on what is being discussed this weekend, what you may have missed and what is coming up soon. 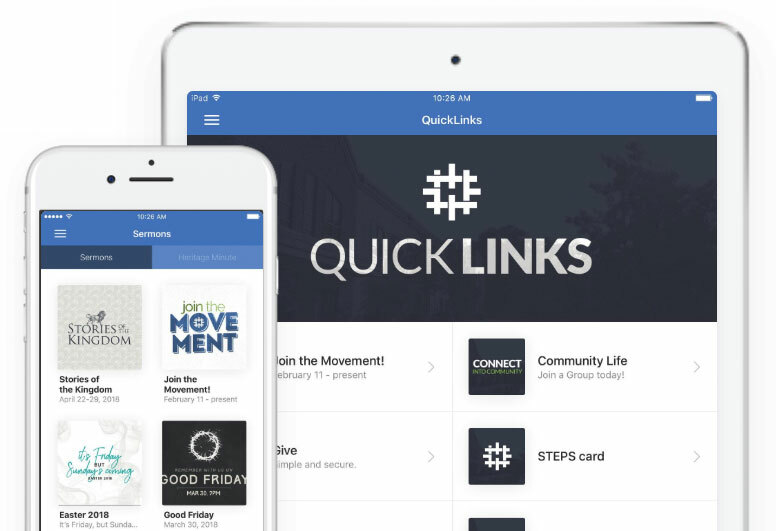 The Next Steps tab will allow you to find items like giving, prayer requests or steps cards, and finding a Community Life Group. The Video tab contains sermon content from the past year, Heritage Minute updated each weekend, and other recorded trainings and classes. Events and classes tabs contain general descriptions of upcoming items and links to sign up or find out more. Allow push notifications from within the app. This will allow us to post regular notifications on items of interest to you. For further questions or inquiries about the app or app content, complete our app feedback form.